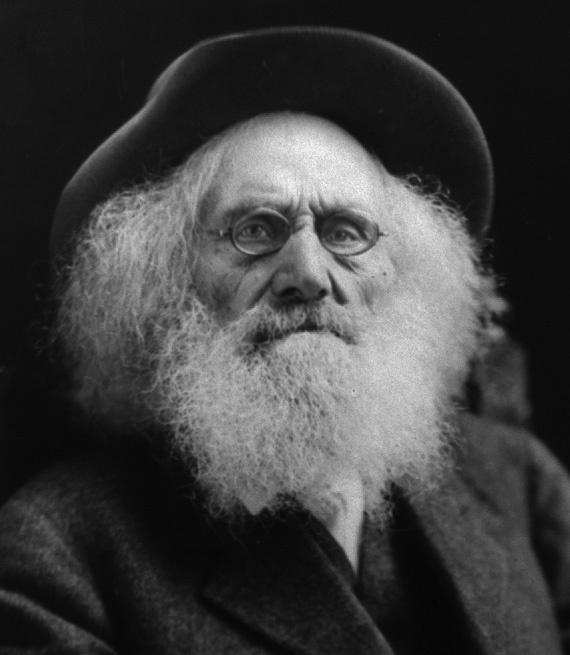 Ezra Meeker, was born December 29, 1830 in Huntsville, Ohio, the son of Jacob Meeker and Phoebe Meeker. By the time he was 10 years old, the Meeker family had moved to Indiana, near Indianapolis. Even at this young age, Ezra Meeker had a pioneering spirit, insisting he walk and explore; he walked nearly every step to Indiana. In 1851, he married his childhood sweetheart, Eliza Jane Sumner, and together they headed out west in search of land. 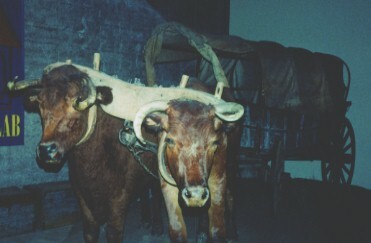 After a bitter winter in Iowa, they joined the Oregon trail immigration, finally arriving in Kalama on the Columbia River. In 1853 they moved to McNeill Island, then again to Tacoma. 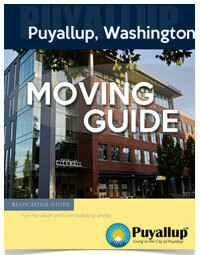 After an unsuccessful mercantile venture in Steilacoom, Ezra moved his family to Puyallup in 1862. Until now, he had ignored the valley, preferring to live in other parts of the Puget Sound. In the 1860’s many settlers ignored the valley because the extremely dense vegetation and forest made land very difficult to clear. Soon however, the fertile soil underneath this thick vegetation was discovered for its ability to grow healthy and abundant crops, and settlers began the back breaking work of clearing small plots of land. 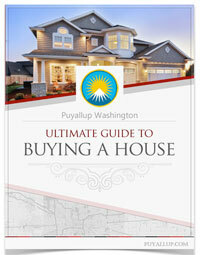 It wasn’t until Meeker began to see the potential of reaping great profit from the land that he chose to settle in Puyallup. In fact, at first, Meeker only cleared the land immediately around his cabin, and in that narrow path, amongst the un-cleared stumps that still remained is where Ezra planted the first Hops in the valley. Ezra Meeker Day’s began in 1939 when a group of civic leaders formed the event to promote the life and spirit of Pioneers as exemplified in the life of our community founder, Ezra Meeker. The Day’s of Ezra Meeker, as it was called at the time, was cancelled for the years during WWII. In 1946 the celebration was revived, but then marred by tragedy. A popular event during the celebration was a Cops and Robbers type play, featuring the Kangaroo Kourt and Keystone Kops. During the performance of the play, a community member perished in a fall from a roof while attempting to “escape” the Keystone Kops. The event continued another two years, but finally cancelled as this tragedy weighed heavy in the minds of the community. However, nearly 20 years later, the Puyallup Boosters and Puyallup Jaycees revived the event as a summer promotion. In 1978, the name was changed to the current Ezra Meeker Days, continuing the tradition of honoring the Pioneer spirit which gave root to our Puyallup community. 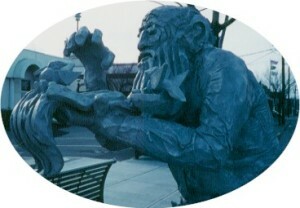 Ezra Meeker statue located in Puyallup, Washington Downtown. 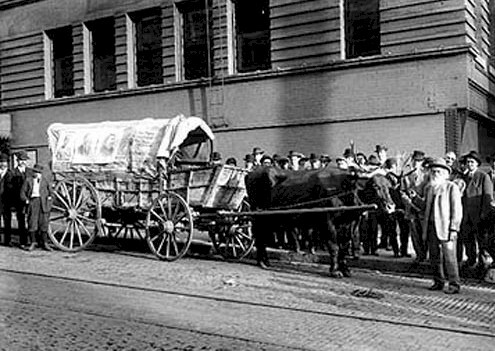 In 1852, Ezra Meeker and his family came west by wagon over the Oregon Trail, eventually settling in the Puyallup Valley. As the years passed and cross-country travel became easier, Meeker worried that people wouldn’t understand the hardships of the early settlers. Beginning at the age of 75, he made several trips across the Oregon Trail and urged its preservation. He supported his project by selling his books and photos. 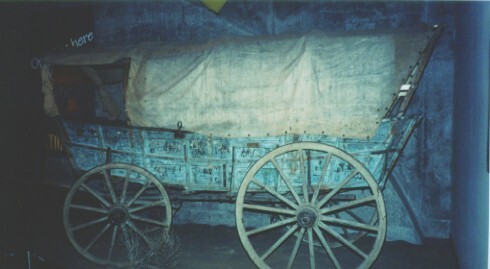 Also on display is one of Ezra’s Wagons used on at least one cross country trek. Carvings in the wood and writings on the covering canvas mark dates and locations along his journeys.